By every measure, Africa is flourishing. Inflation is down, political stability is up, and the economy is charging ahead with 3.3% annual GDP growth. With such a thriving business climate, many Africans are choosing to study abroad, then looking for ways to contribute back home. 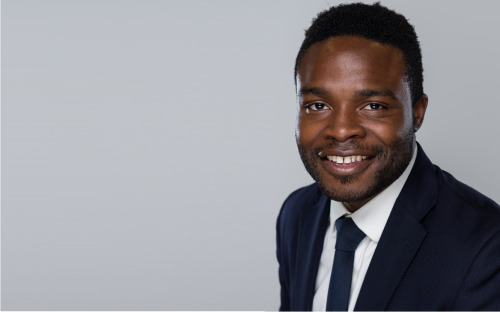 Take, for example, Oyekunle Olaoye, a current MBA student at HEC Paris. Raised in Nigeria, it is his wish to return to the region after graduating, putting into practice his MBA education to roll out financial projects there. In the customized phase of the HEC Paris MBA, students have the option to undertake an academic fieldwork project in which, if they pitch a successful idea, they work with an HEC Paris professor and a company to solve a complex business problem. Being the Vice President of the Africa Club at the school, Oyekunle adds that they plan to attend a networking event at the Ivory Coast embassy to meet investors and French companies who are interested in working in Africa. This is how the initial connection is often made for HEC Paris MBAs, as they tap into the school’s alumni and corporate connections—nearly 4,000 HEC Paris alumni are CEOs, CFOs, or the founders of their own companies. Last year, the school hosted Africa Days, a three-day event designed to discuss the challenges and opportunities of 21st century Africa. Among the 15 prestigious speakers that came to campus were S.E. Daniel Kablan Duncan, Vice President of the Ivory Coast and Tiemoko Meyliet Koné, Governor of the Central Bank of West African States. In Nigeria alone in 2017, France invested €350 million. And although, over the past 100 years, relations in the region have been largely dominated by the oil and gas industry, investment is now moving towards SMEs, technology, renewable energy, and startups—all areas that will help incubate Africa’s emergence as a continent worth investing in. Carine Mimbe, a fellow HEC Paris MBA student who worked for the past two years as a deputy project manager for Cameroon’s national oil company, National Hydrocarbons Corporation, also wishes to use her MBA to roll out development in Africa after graduating. “I believe that creating value in developing countries can really help improve peoples’ lives [there],” she says. For that to be made possible, networking is vital. The Executive Committee on campus at HEC Paris is a small group of 12 MBA participants who, among other things, explore career paths through peer-to-peer networking, mentoring sessions and presentations delivered by CEOs invited to the school. “For me [that’s] important, because to develop our countries in Africa you have to attract investors,” Carine says. Not being able to meet demand is often the reason that companies fail or struggle to get off the ground in Africa. “All the time [in Cameroon] I was seeing opportunities,” Carine concludes, “[but] you need to have the money and the skills to develop them.